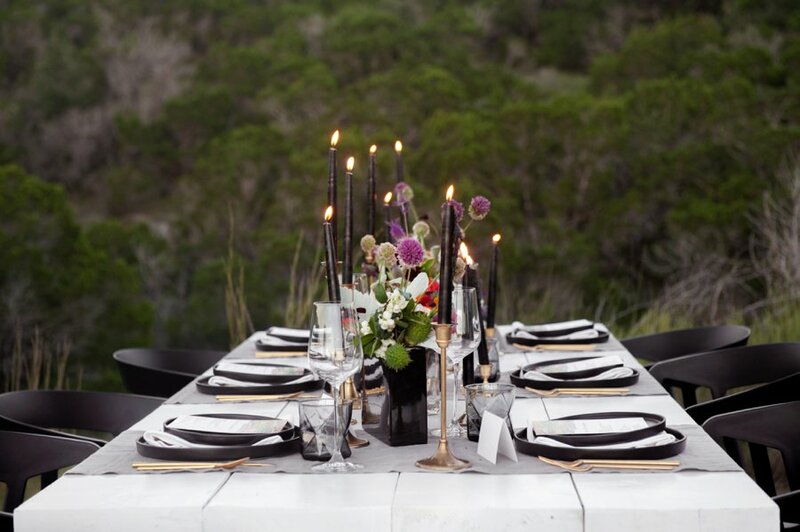 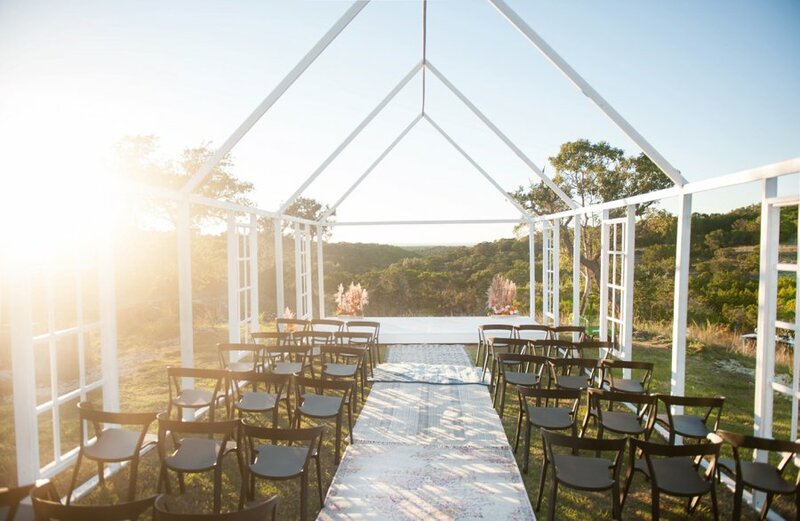 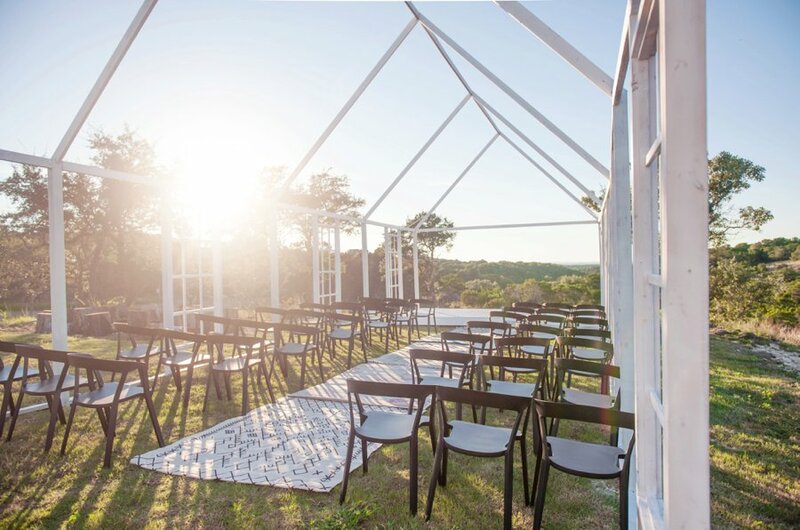 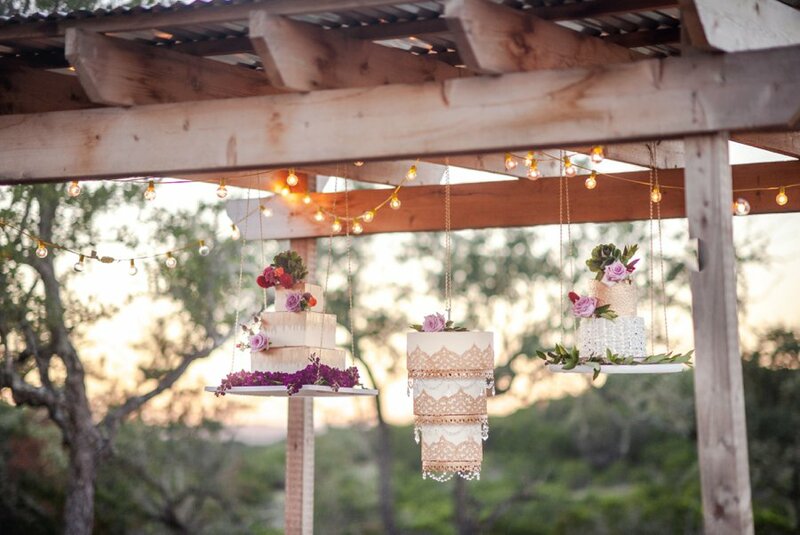 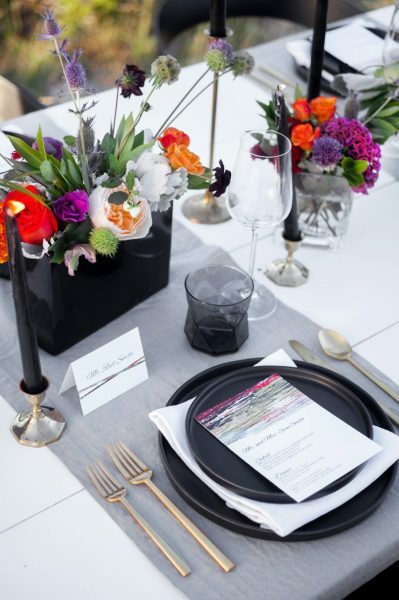 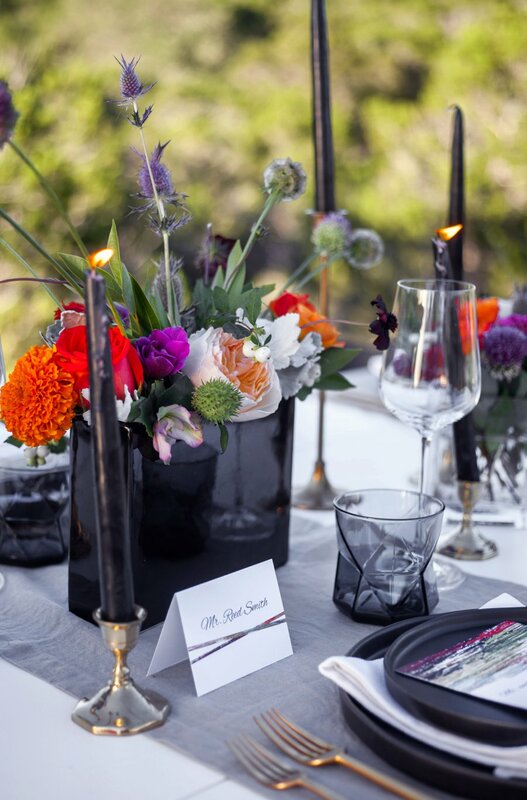 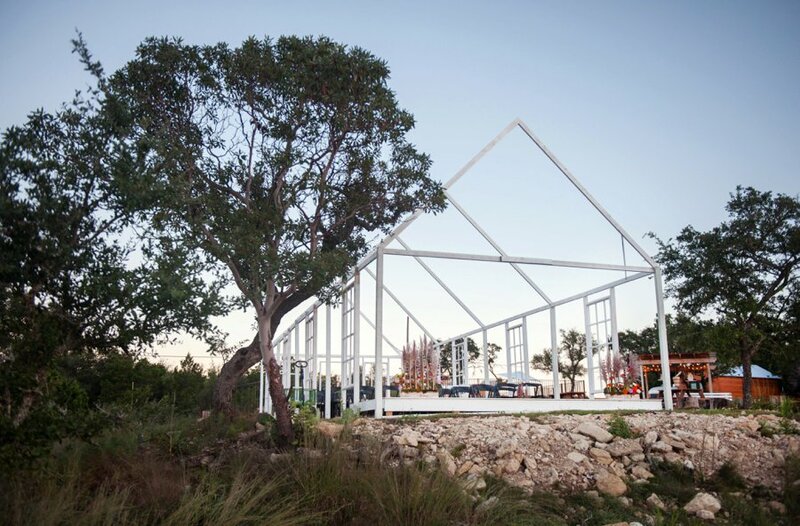 D6 Retreat is a Texas Hill Country venue in Dripping Springs, the "Wedding Capital of Texas." 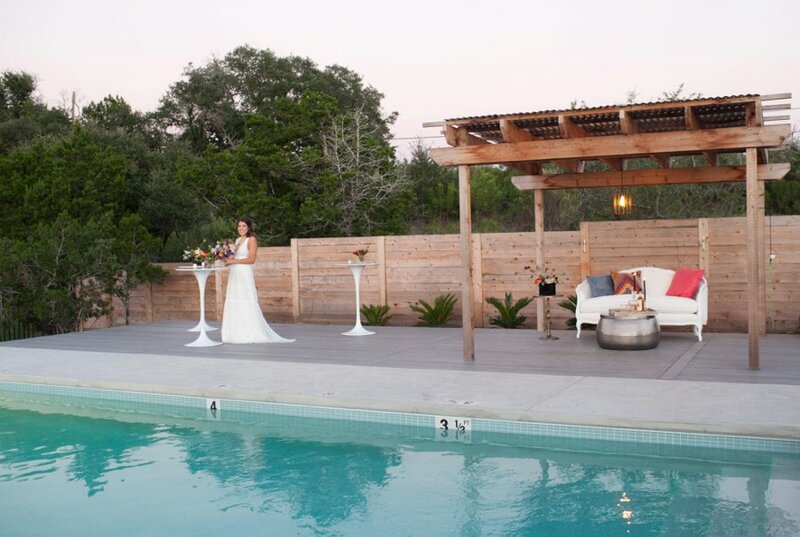 The venue caters to bohemian, laid back couples. 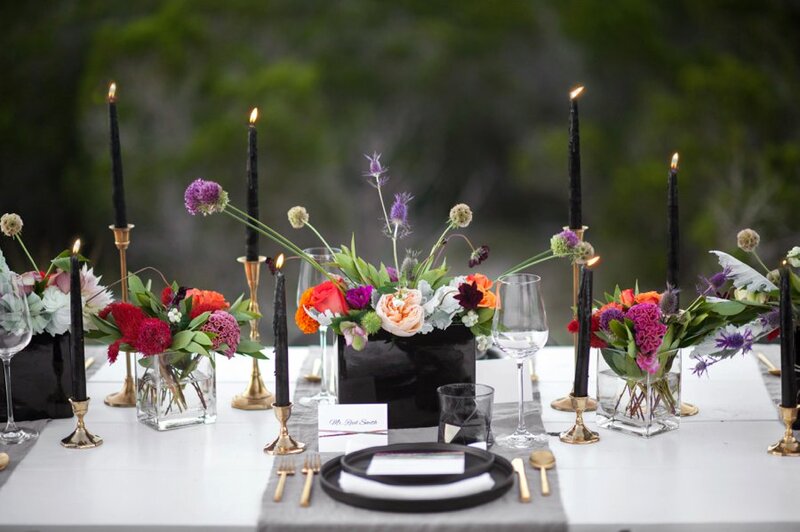 As such, since this is the Austin area AND this week is SXSW, some festival inspiration was in order! 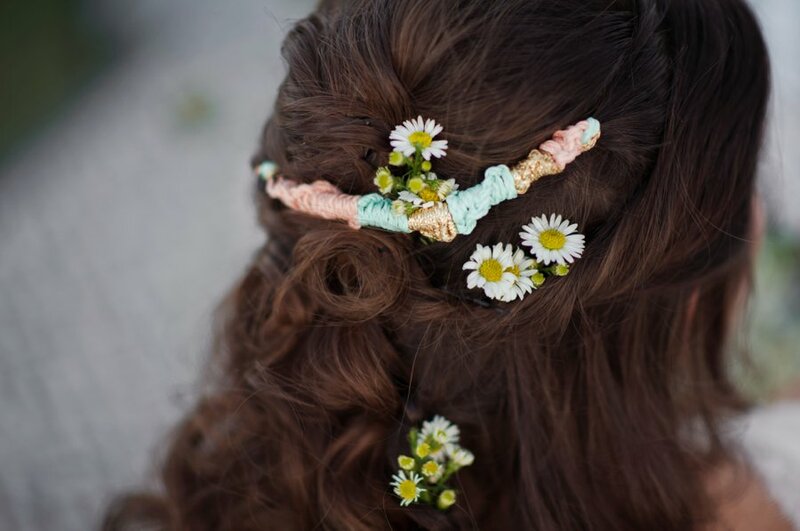 Since there are plenty of festival shoots online, we wanted to give our design a twist. 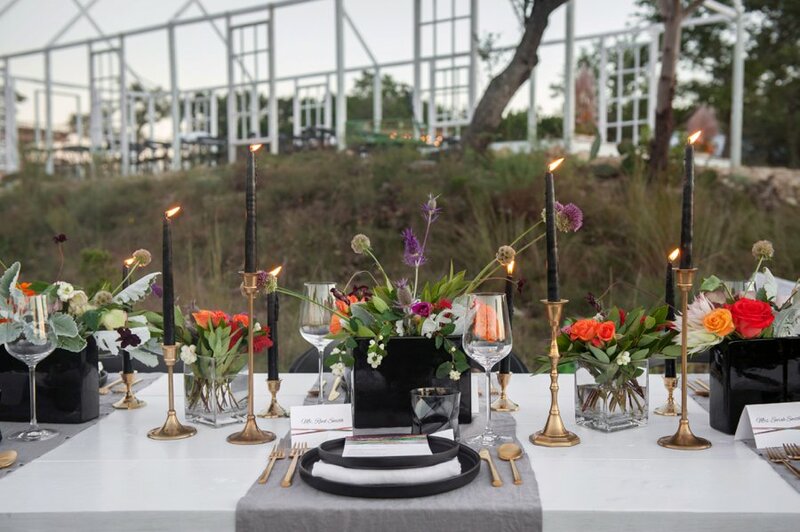 We added some industrial elements inspired by the venue's open-air chapel. 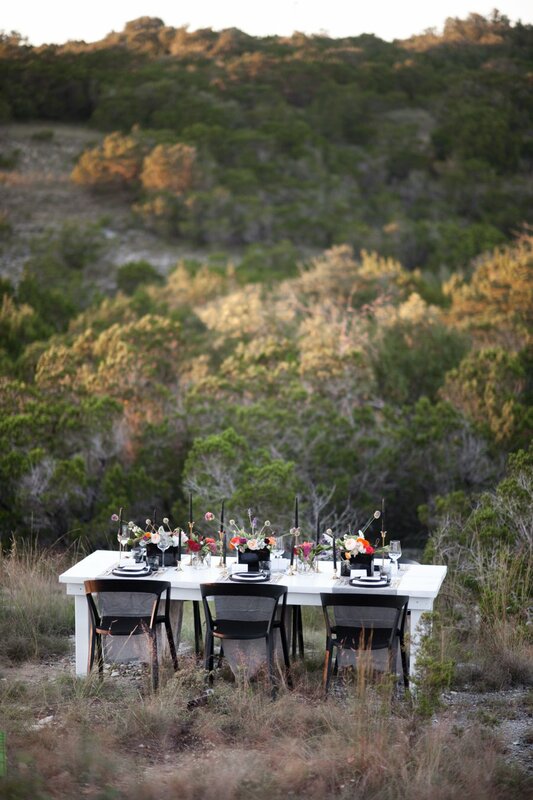 The clean white lines provide a stark contrast to the beautiful backdrop of the Texas Hill Country. 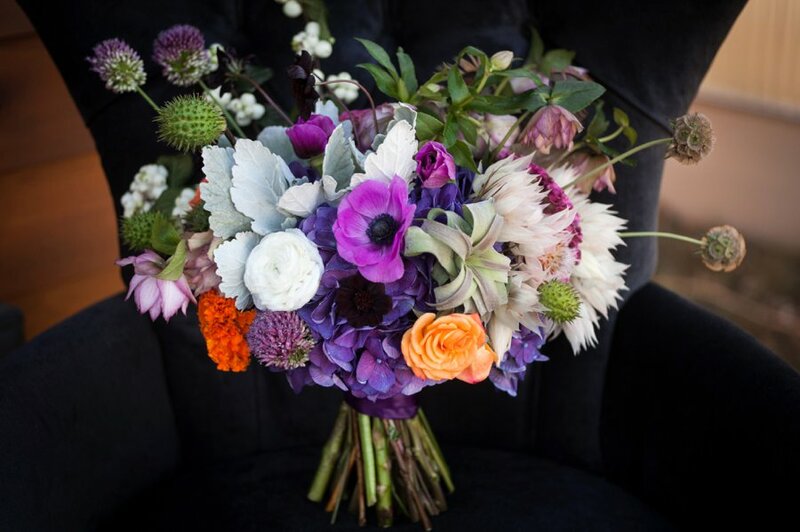 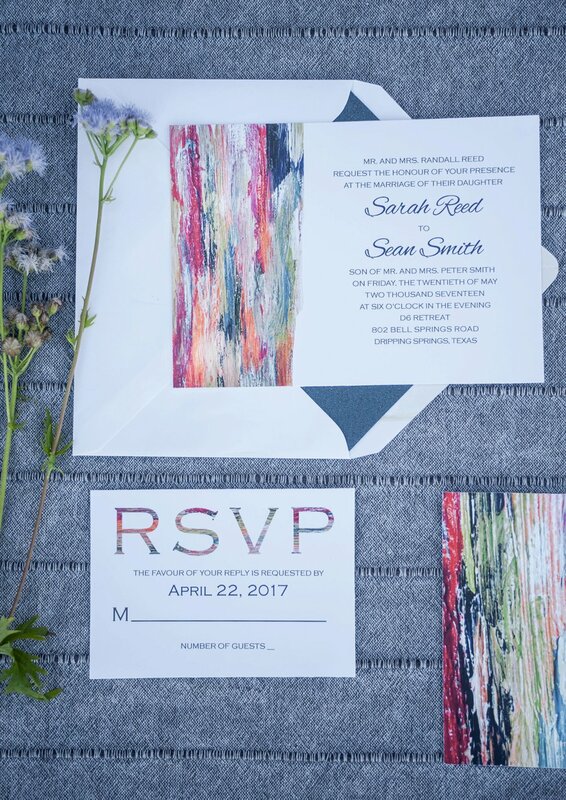 We created a beautiful, vibrant mashup of both festival and industrial styles! 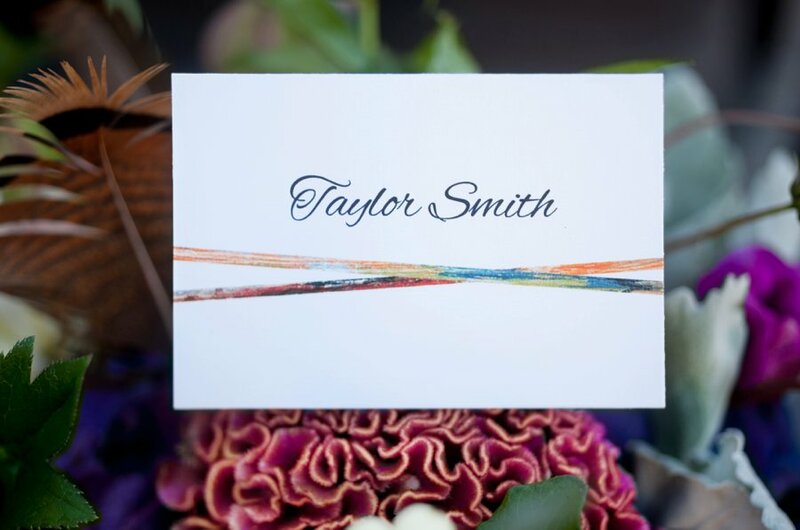 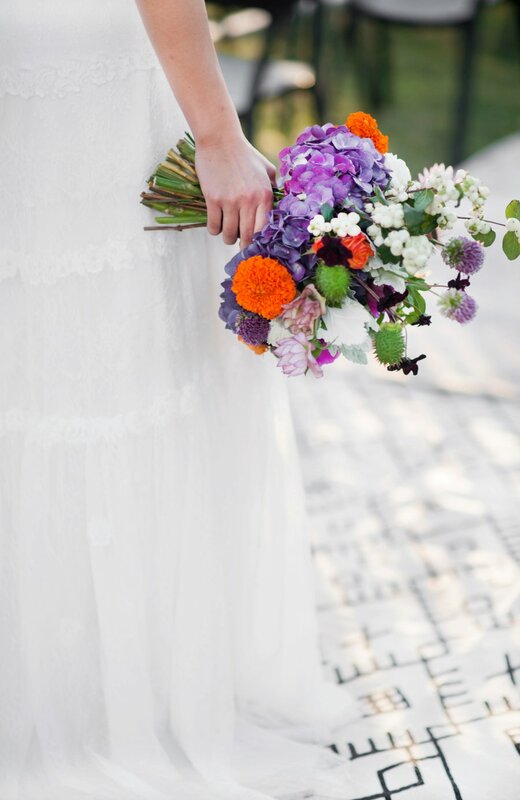 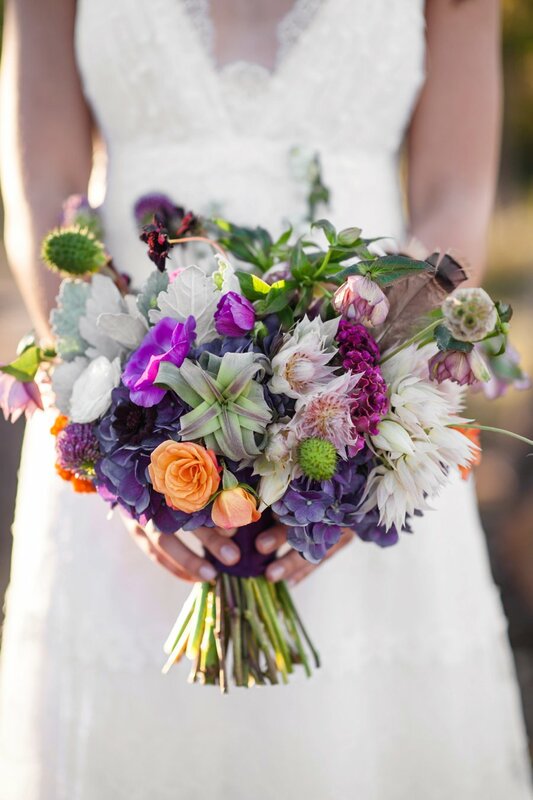 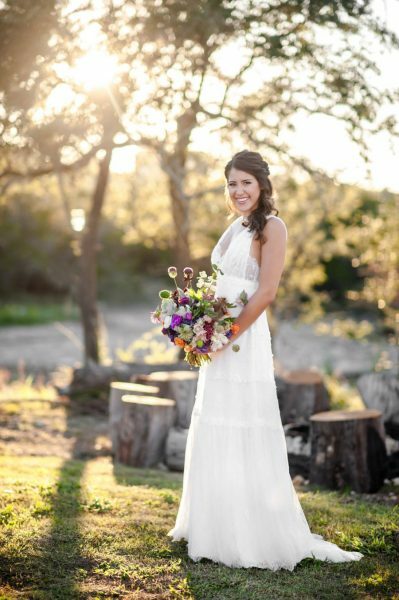 We're proud to have this shoot published on the Brides of Austin and Every Last Detail blogs!